Shape your living room into a cosy, adaptable space that meets the needs of every member of the clan. Movie night is a great way to bring the whole family together. Cinema-quality entertainment without all the frills is what the LG Signature W7 OLED TV offers. Merging state-of-the-art technology, revolutionary pixel-dimming control and sharp images with a sleek, minimalist design, the W7 will help you save space without sacrificing quality. Tired parents and grandparents may need a place to nap in the middle of the afternoon. They can do so while still being in the presence of family with the Alvar sofa bed. Designed by Giuseppe Viganò for Bonaldo, the Alvar looks like a sofa with its high, padded headboard, yet offers some of the privacy and seclusion of a bed. It also works well as a spare bed for guests. Hard or slippery floors can be dangerous for toddlers and the elderly. 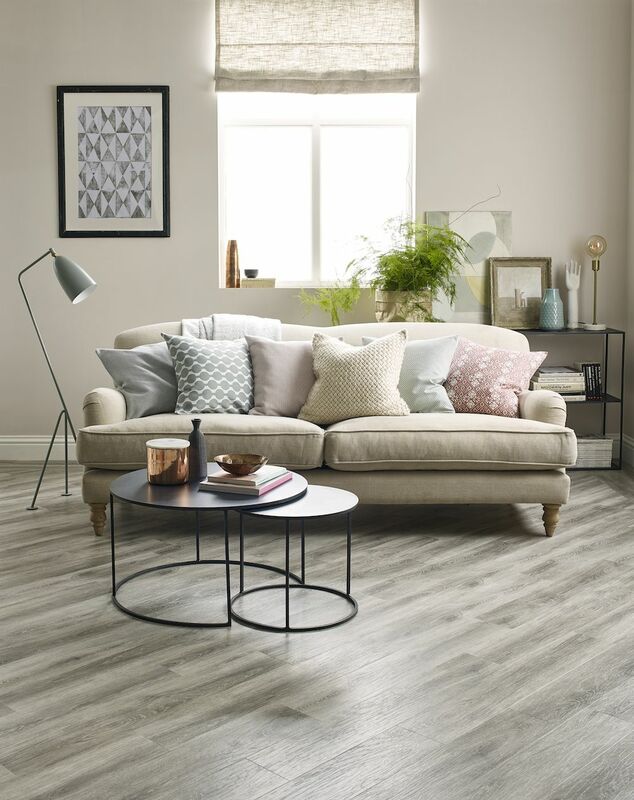 A good choice for safe, non-slip flooring is Amtico—a flexible, durable and sustainable vinyl flooring material that's easy to clean, and is available in a wide range of contemporary and natural-looking textures and patterns. Amtico's Form collection is inspired by wood and stone, while the Décor collection is inspired by Victorian mosaics. When sharing your living room with ageing parents or grandparents, good lighting is crucial. Elderly eyes require more light and even distribution, and indirect emissions are a good way to achieve this. With its slim 24mm profile, Artemide's Architectural A.24 suspension lighting system can be used for ceilings, walls and recesses to provide balanced and expansive illumination that's healthier for ageing eyes. Children's furniture doesn't have to be outlandish or clash with other furniture iteams in your living room. Vitra's child-sized Panton Junior, available in a variety of bright, cheerful colours, isn't just comfy—it can also double up aas a plaything for kids or an artistic plastic sculpture that adds a splash of colour to your home. KEF's LS50 Wireless music system allows family members to enjoy TV audio or their favourite tunes in crystal-clear surround sound. The easy-to-use system can be conveniently configured to each individual's preference using the free KEF custom configuration app, which can be easily downloaded. The LS50 Wireless supports Bluetooth and multi-connectivity, so family members can stream movies and music from their laptops, tablets or smartphones. Perhaps you need to check your emails or write reports in your living room; or your teenager may want to do a little studying before dinner. Staying focused, however, can be challenging with large families. The argonomic Brody WorkLounge modular workstation from Steelcase has an adjustable work surface, privacy screen and footrest that offer shelter from visual distractions, so you can concentrate on your tasks even with others around you. If you have children playing and running around in the living room, then tables with sharp angular corners aren't the wisest choice. A good option is Herman Miller's Noguchi Rudder coffee table with its smooth, rounded edges. A vintage design by Isamu Noguchi, the table comes in walnut, ebony on maple, or white-ash finishes. Showcased at this year's Salone del Mobile, the Este sofa, designed by Antonio Citterio for Flexform, is a linear component sofa with removable fabric or leather upholtery, available in multiple sized, configurations and finishes. The large expanse of armrests, backrest and seating area makes the Este a generous way to accommmodate all family members comfortably—and in style. This article was adapted from Singapore Tatler Homes August-September 2017.